CREATIVE ART: Drawing + Painting (aka Beginning Drawing + Painting) explores a variety of basic drawing + painting techniques and media with emphasis on making accurate observations of life. Students will study contour line, value shading, and spatial relationships to create compositions. Rooted in the elements of art, instruction nourishes understanding and application of the fundamental components. If you are considering taking an art class, but don’t know where to start, this is a great place to start! Studio 23 is reserved for everyone and we'd love to have you! CREATIVE ART: Drawing + Painting Intermediate (aka Intermediate Drawing + Painting) is designed to provide students with an extension of drawing and painting, and offer a greater opportunity for students to explore personal solutions in a variety of media. While instruction is rooted in the principles of design and elements of art, this class focuses on an array of creative problems. Pulling from their learnings in the Beginning level, students apply greater emphasis on composition and presentation. 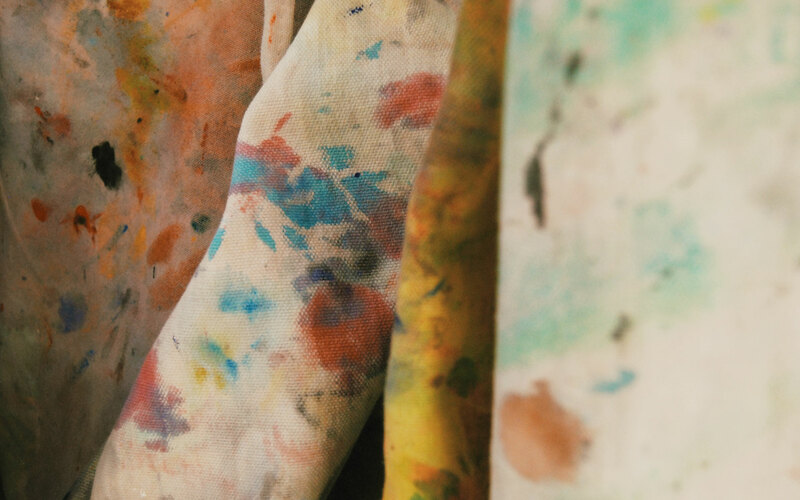 Students will be encouraged to make connections between the visual arts and other disciplines, in addition to careers in art. This instruction enables students to attain a higher understanding of the world as well as increased levels of critical thinking. CREATIVE ART: Drawing + Painting Advanced (aka Advanced Drawing + Painting) is designed to provide students with a detailed understanding and application of advanced drawing and painting techniques. While instruction is rooted in the principles of design and elements of art, this class focuses on developing individual creative style. Pulling from their learnings in the Beginning and Intermediate levels, students apply greater emphasis on composition and presentation. Students work in various media as well as combinations thereof. Students will be encouraged to make connections between the visual arts and other disciplines, in addition to careers in art. This instruction enables students to attain a higher understanding of the world as well as increased levels of critical thinking. This course is an intense investigation of technique and practice and real life experience as an artist. It is designed for self-motivated students who are seriously interested in the practical experience of art and wish to develop mastery in the concept, composition, and execution of their ideas. AP® Studio Art is a rigorous college level curriculum that requires significant commitment and dedication. By exploring a variety of concepts, media, and approaches to design, students will develop a range of abilities and versatility with technique, problem solving, and ideation. Through direct teacher instruction, emphasis will be placed on the production of a volume of quality art work. Additionally, the AP Studio Art students will participate in a wide array of field experiences and work with professional artists to give them a greater perspective of life as an artist and the ever-changing world we live in. It is more and more possible to make a handsome career out of being an artist, and this class gives students the tools and insight to explore this notion for themselves! AP® Studio Art will be evaluated, not by written exam, but by portfolio submission to the College Board at the end of the year. Students may be eligible for college credit by demonstrating excellence in all areas of the portfolio. Throughout the year, students will address all three sections of this AP® Portfolio Exam: Breadth, Concentration and Quality. Portfolio development is an ongoing process in which students are expected to use informed and critical decision making to develop their work. National Art Honour Society (aka NAHS) is a national recognized community of artists who achieve outstanding accomplishments in the areas of scholarship, character, leadership and service.